Have you heard of the brand JoFit? JoFit is a clothing and accessories company that combines comfort and style. You can wear these pieces from work to the gym, to run errands or out to dinner. 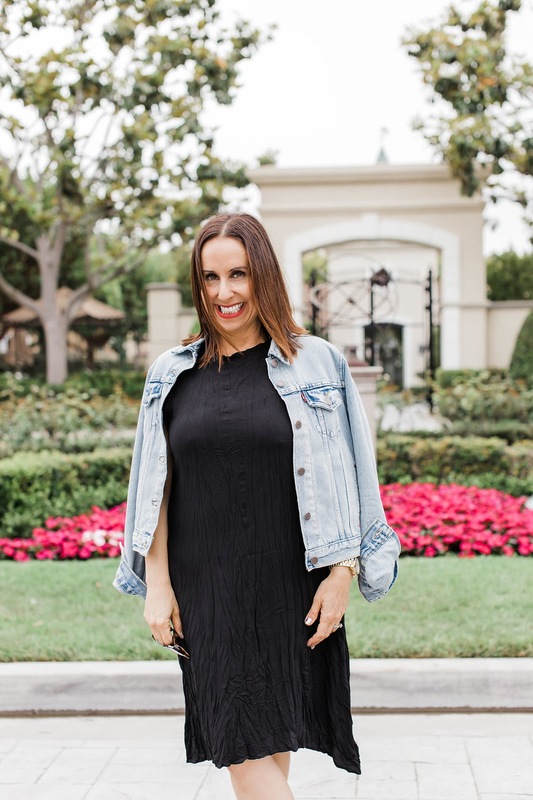 How cute is this JoFit Little Black Dress? 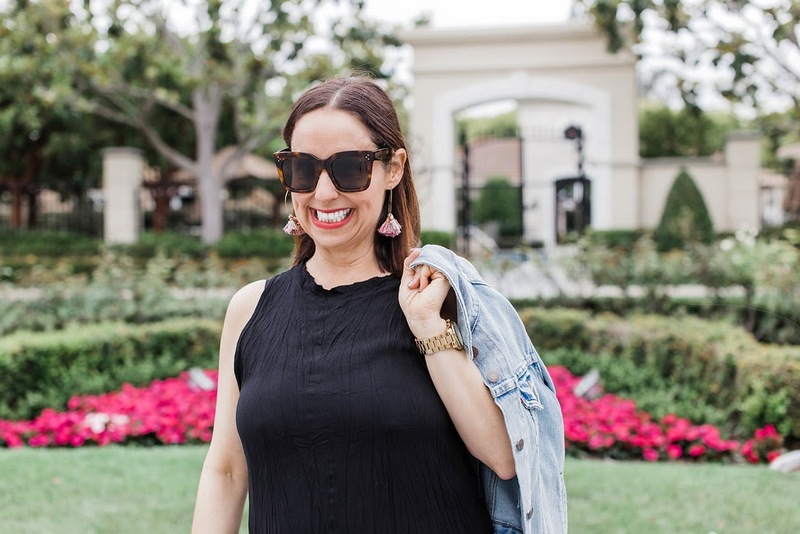 I paired this adorable JoFit little black dress with a basic denim jacket. This is such a perfect everyday look. 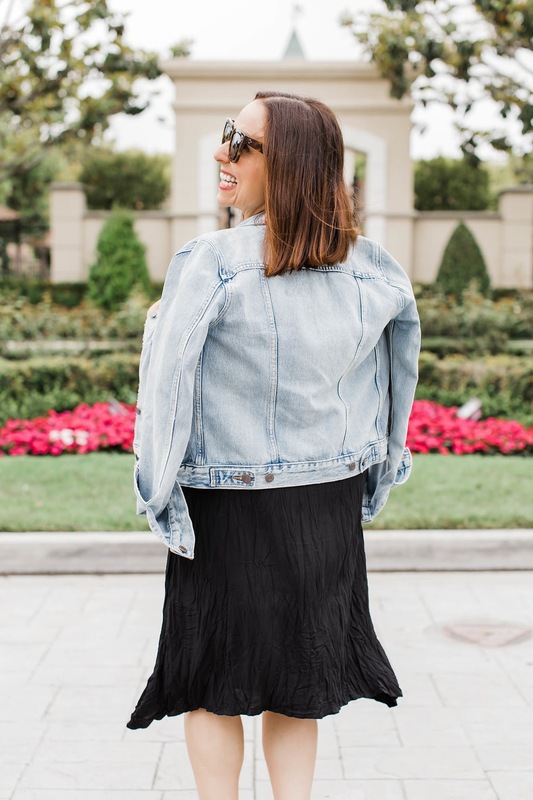 Adding a denim jacket is such a great way to dress up a basic look. I live in Newport Beach so it is the perfect solution to those chilly days and nights. And I am OBSESSED with these g2g earrings. How cute are they? You have to check this line out too. Gianna is a good friend of mine and she creates the most beautiful jewelry. 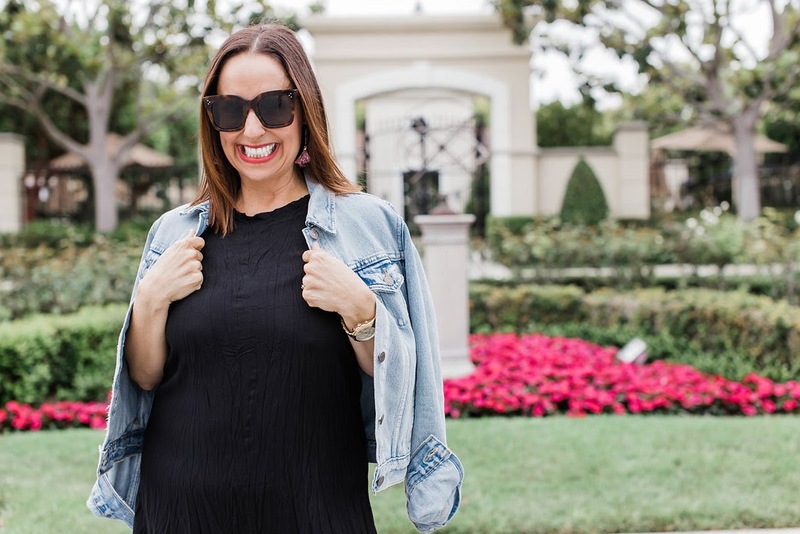 So try adding the perfect denim jacket to your favorite little black dress. All you need is some great mules, some fun jewelry and your look is complete. It's that easy. Thanks to Gabs Wells for photos. You can shop this look by clicking on the links and pictures above. Happy Reading!!!! What do you think of this basic look? I would love to hear. Thanks to Gabs Wells for photos. You can shop this look by clicking on the links and pictures above. Happy Reading!!! !